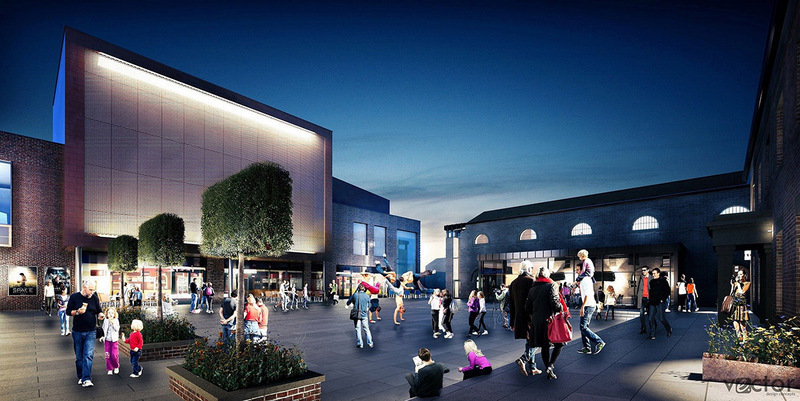 Image – An aerial artist’s impression of the Treadmills development, Northallerton’s most significant regeneration scheme for decades. 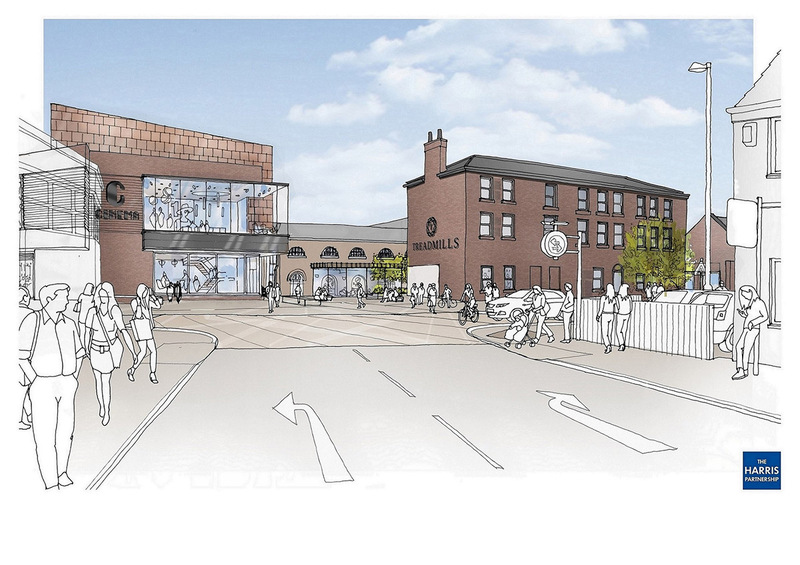 An application for full planning approval and listed building consent has been put forward by the Central Northallerton Development Company, a joint venture between Hambleton District Council and Wykeland Group, for the heritage-led Treadmills scheme. Two public consultation events were also held in June 2018, attended by around 450 people, at which 65% of people who completed feedback forms said they supported the scheme, with only 15% opposed. 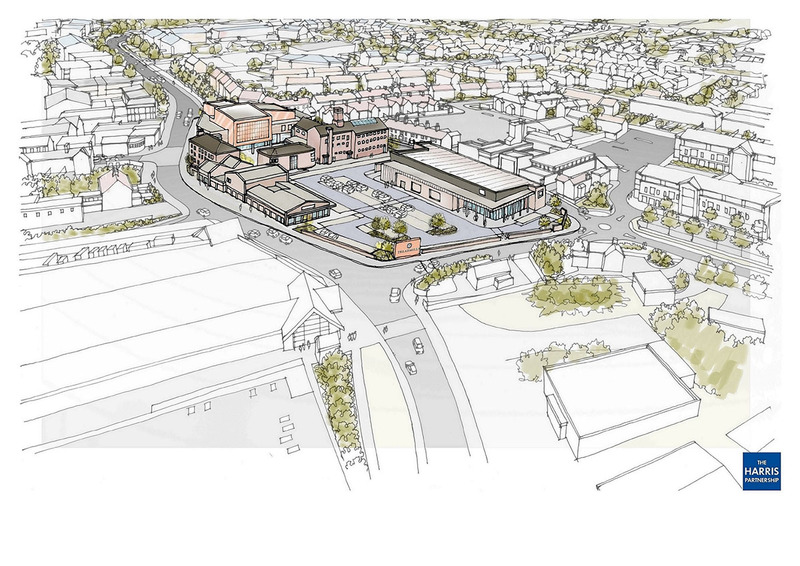 The plans for the £17m Treadmills scheme set out a comprehensive redevelopment of the 3.5-acre site, including a mix of retail units, offices, cafés and restaurants, a cinema, apartments and car parking. The focal point of the development will be a newly-created civic square and performance space. The scheme also includes Northallerton’s first “changing places” fully accessible toilet facility. 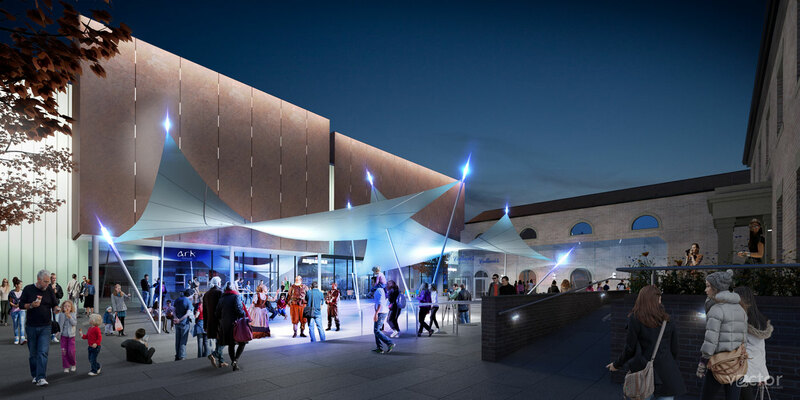 Image – An artist’s impression of the new civic square, bordered by the former Northallerton Prison buildings, which will be sensitively restored and converted as part of the scheme. Sensitive conversion of the site’s five remaining listed former prison buildings to form offices, apartments, shops, cafés and restaurants, as well as a heritage centre displaying memorabilia and archives from the jail. A premium, four-screen cinema, above three new restaurant units. 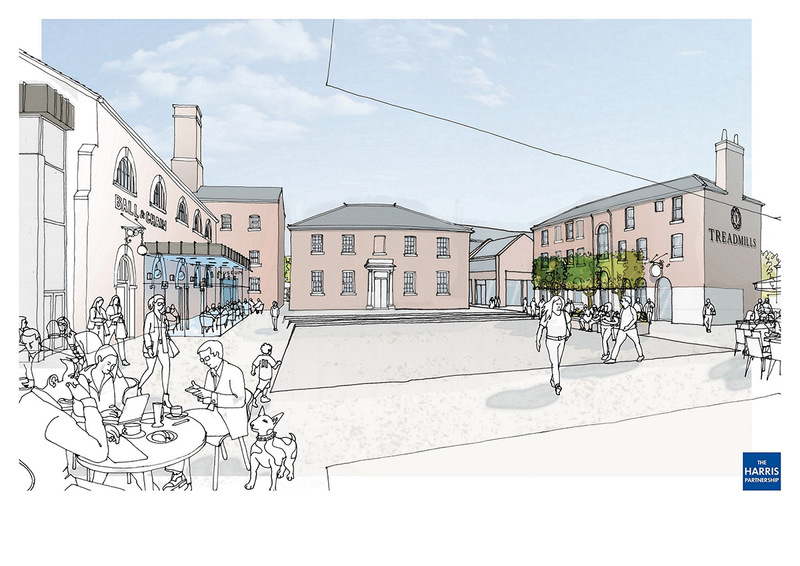 Creation of an attractive new public square in the courtyard formed by the former prison buildings and cinema. This area will be a hive of activity and present opportunities for community and cultural events and performances. Three new retail units, including an anchor Lidl store. Provision of 127 parking spaces and 18 cycle spaces, to supplement off-site provision. A new highway access and related road improvements, as well as enhanced connectivity and signage between the site and nearby High Street. Image – An artist’s impression of the Treadmill scheme seen from Zetland Street, with the new cinema on the left. The prison buildings to be incorporated within the development are the former Staff Tenement Block, Governor’s House, 1818 Female Wing, 1852 Female Wing and Link Building. Conversion of these buildings will respect their history and heritage and key period features such as the cell windows will be retained. The application says the scheme will “renovate, repair and sensitively convert the original prison buildings and bring vacant heritage assets back into active and beneficial use”. It adds that the proposed new buildings within the scheme have been carefully designed to “respect the form, scale and materials” of the retained listed buildings. Bring a derelict local landmark back to life in a scheme delivering significant benefits for the local community and economy. Create up to 200 jobs, in addition to employment during construction. Strengthen Northallerton town centre and consolidate the town’s role as the principal centre of Hambleton district. Stimulate investment into Northallerton, help to secure long-term economic growth and boost the evening leisure economy. Improve Northallerton’s retail and leisure offering, provide greater choice and reduce the need for local people to travel to other locations to meet their needs. Create a new, high-quality civic square just two minutes’ walk from the High Street. Provide office space for new and growing digital businesses. A key feature of the development will be the presence of successful technology incubator the Centre for Digital Innovation (C4DI), which is an organisation that helps companies grow and traditional businesses innovate. C4DI will operate the offices and co-working spaces to support the development of start-up and growing businesses in the digital tech sector. “This scheme has been designed to extend and enhance the town centre and bring new vibrancy to Northallerton, including through a stronger and more dynamic evening economy. It will also create a new, high-quality destination and public space, strongly linked to the commercial heart of the town. 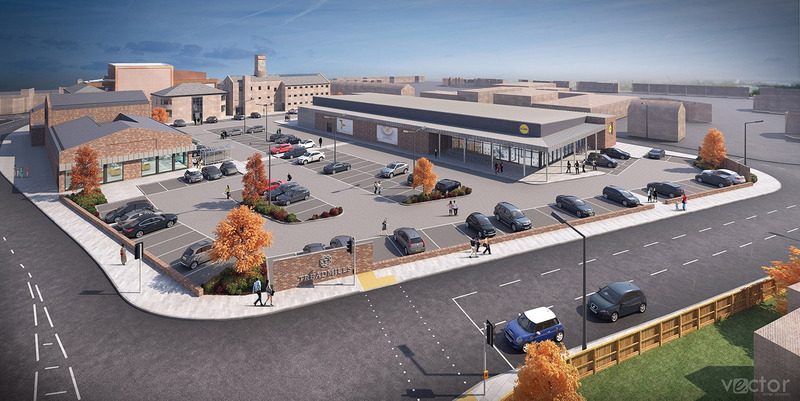 Subject to planning consent, the Treadmills development is proposed to be delivered in phases, beginning with construction of the retail units to the south of the site, with work expected to begin in early 2019.